Are you a dedicated First Responder? If you are an active member of an eligible First Responders Association and living within the United States, you may qualify for an exclusive Ford offer for our committed Responders. Ford Motor Company is honored to reward your service through our exclusive First Responders Appreciation Program which provides you with the opportunity to receive a $500 Bonus Cash Offer good toward the purchase or lease of an eligible new 2015/2016/2017 model year Ford vehicle. This offer is not available on Mustang Shelby GT500, Mustang Boss 302, Mustang Shelby GT350, Mustang Special 50th Anniversary Edition, F150 Raptor and Focus RS. $500 Bonus Cash offer exclusively for active members of an elgible First Responders Association who are residents of the United States. Offer is valid from 2/15/2016 through 1/03/2017 for the purchase or lease of an eligible new 2015/2016/2017 model year Ford vehicle (not available on Mustang Shelby GT500, Mustang Boss 302, Focus Electric and F-150 Raptor). 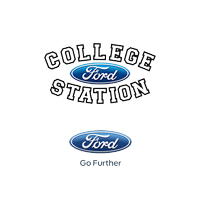 This offer may not be used in conjunction with other Ford Motor Company private incentives or AXZD-Plans. Some customer and purchase eligibility restrictions apply. Limit one $500 Bonus Chas offer per vehicle purchase or lease. Limit of five new eligible vehicle purchases or leases per First Responder Association member during program period. See your Ford Dealer for complete details and qualifications.